Dyslexia is used as a term for a disorder that is mainly characterized by severe a difficulties in acquiring reading, spelling and writing skills. Based on the experience of more that 10 years intensive research three different disorders, a reading disorder, a spelling disorder and a combined reading and spelling disorder were differentiated. Many people used dyslexia as a synonym for the combined disorder. The prevalence rate of each of the three disorders is about 3-4%. Dyslexia is neurobiological in origin, genetic factors have been identified and environmental factors can determine its impact. The most widely accepted theory is that it is caused by difficulties in phonological processing: verbal working memory, rapid naming and sequencing skills are also affected. Across Europe, the diversity of languages and the multilingual demands may pose particular challenges for dyslexic children and adults given their language learning difficulties. There is no relationship between a person's level of intelligence, individual effort of socio-economic position and the presence of dyslexia. The cognitive difficulties that cause dyslexia and different learning disorders can also affect other aspects of verbal learning including arithmetic. Difficulties in organizational skills and motor coordination are frequently observed but these are not core to the condition. It is the ongoing challenge for people with dyslexia navigating through life in a largely non-dyslexia friendly world. While there is much concern about the negative impact of dyslexia on learning, it is also important to recognize areas of strength which may be associated. Many dyslexic people are reported to be good at architecture, engineering and other creative arts. They can also be good at acting, lateral thinking and many have good "people-skills". If given the appropriate help for their areas of difficulty, there is no reason why a dyslexic person should not high achieve and many can gain a university degree. A lack of phonological awareness and a difficulty with phonological processing are seen by many in this field as being the primary causal factor of dyslexia. This is often referred to as a single core deficit. However, others have spoken of other possible deficits such as naming speed problems or a deficit in the ability to process visual information, ie. orthographic factors. These deficits might exist singly as proposed in a single deficit hypothesis or together as in multiple deficit hypotheses. While research continues, most would agree that dyslexia is a developmental disorder has a genetic contribution, has a neurological basis, occur early during the first years of formal schooling, and persist into in adulthood. and responds to structured evidence-based intervention. In dyslexia many risks accumulate to impact functioning like phonological processing, working memory, rapid automatized naming, sequencing and the automaticity of basic skills. Is help or support necessary for someone who is dyslexic? Despite average intellectual abilities and sufficient motivation, without appropriate support, children who are dyslexic do not learn as their peers do. However, when diagnosed early, they can be helped to learn with teaching that is success orientated, structured systematic and evidence-based. They will always require a great deal of support and encouragement. "Dyslexia" tends to be the term preferred by parents and individuals experiencing the condition. There are many reasons for this including the fact that they do not accept that they are disabled in the true sense of the word, but rather that they learn in a different way that is often not catered for in traditional schooling. The origins of the word "dyslexia" suggest a difficulty in the use of the words rather than just the reading of them. The term "dyslexia" indicates a more complex syndrome than just a problem with reading. Dyslexia is often used synonymously with the terms like "specific reading difficulty" or "specific reading disability" or "specific reading retardation and specific spelling disability. It is, however, sometimes referred to as a "specific learning difficulty" (or "Spld"). Dyslexia does not affect inherent intelligence but its symptoms can often hide a greater intelligence than that exhibited when learning to read, write or spell. A disparity between verbal and written ability is central to the condition. Dyslexia occurs worldwide regardless of culture or language and affects about 9-12% of the population; 2 – 4% of the population can be seriously affected by it. Following the International Classification Systems of Mental Disorders like DSM-5 or ICD-10 the term dyslexia is only used as a subtype of the reading disorder. 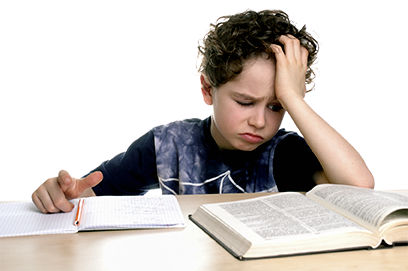 However specific learning disorders with different subtypes: learning disorders of reading (reading fluency, reading accuracy, reading comprehension), learning disorder of written expression (spelling, writing and grammar) were strictly recommended for diagnosis. Most children suffering from dyslexia experience years of failure in school withhaving a detrimental effect on their academic self-concept. A lack of confidence and low self-esteem are often consequences of dyslexia. There are serious psycho-social consequences for the learner who has been unable to develop effective skills and strategies in certain key areas of the curriculum due to the presence of dyslexia. Emotional damage and symptoms of anxiety and depression is done when poor school attainment is attributed to inattention, distractibility, laziness, immaturity or defiance. Similarly, parents and teachers are at odds to explain the learning difficulty. Many dyslexic people report experiencing verbal and physical abuse from their peer group causing them to become defensive and secretive to avoid opportunities for ridicule. Dyslexic people are often so used to being wrong that they are afraid to take risks and lose all belief in themselves and their abilities. They often under-estimate their skills and knowledge and seem to assume, because they have difficulty in reading, spelling and writing, that they cannot do anything well. According to substantiated scientific estimates, the group of European Citizens with dyslexia and specific learning disorders encompasses between 9 and 12 percent of the population, navigating through life in a largely non-"dys" friendly world. Dyslexia is the most widespread specific learning disorder, making the acquiring and using of reading, spelling and writing skills and other communication-related cultural abilities difficult (commonly known as "DYS-differences"). Quoting academic surveys, other developmental disorders as developmental language disorder (DLD), dyscalculia, dyspraxia and attention deficit hyperactivity disorder commonly co-occur dyslexia; known as "DYS-differences", (concluded under "DYS"). A same person can also accumulate some of these differences, dyslexia being associated to dysphasia, dyspraxia, dyscalculia or attention deficit. 20-55 % of persons with developmental language disorder are dyslexic. More than a century of research has enabled us to increase our understanding of how humans acquire language and literacy skills, and why people with dyslexia find the process difficult to access. There have been significant advances in procedures that enable earlier identification of dyslexia, determine which interventions work best and then to develop appropriate support for people with dyslexia in schools as well as the workplace. Despite that, dyslexia presents concerns and challenges for millions of children and adults across Europe. These challenges require major changes for governments, policymakers and organisations to improve attitudes, legislation and positive practice in education and the workplace. Many of the issues relating to dyslexia can be improved through raising awareness of dyslexia and what can be done to adapt to it. That is why the vision of the EDA is to ensure that “every child and adult with dyslexia has the right to access and receive appropriate support and opportunity to achieve their full potential in education, training employment and life”. Researchers acknowledge that there are many possible causes of each single or accumulated DYS disorders. There is no relationship between a person's level of intelligence, individual effort or socio-economic position and the presence of dyslexia and /or a “DYS” disorders.